Are you the type of person that would not settle for any product but the best of the best? Chances are your high taste extend to coolers too. 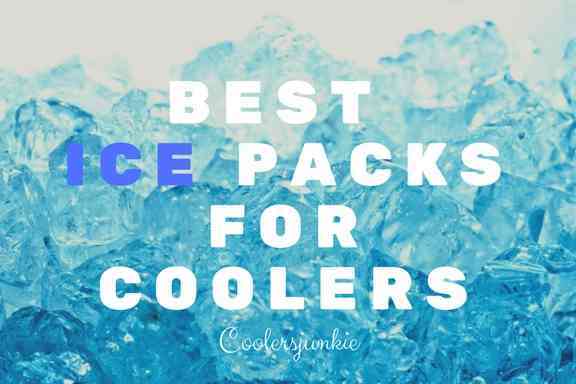 If so, we’ve Selected top cooler brands that have the most extended ice life and optimal quality. These coolers are selling for incredible sums, while they are designed to last a lifetime. Deciding on which premium ice chest is the best fit for you can take some time and research. For this reason, the article is here to help make your decision easier on which ice chest to buy. Which Coolers Will You Consider Premium? Coolers with long ice retention, durable, functional and pricey but yet offers a bang for your buck. Luxury products are uncommon, especially in the cooler niche. Perhaps, this is the only luxury ice chest on the market. Well, if you complain of the Yeti price, then get ready to get your mind blown by sovaro. This company produces coolers with terrific craftsmanship to create a cooler flawlessly designed for people with high taste. For those wondering about the sizes that are available, Sovaro comes in 30, 45 and 70 Quart. 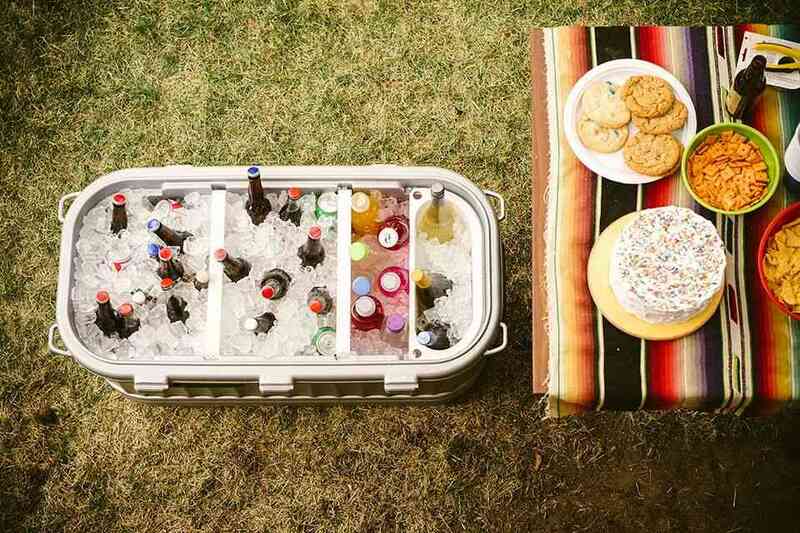 Needless to say, you have a cooler for different occasions. The interior utilizes a unique material known as a cork to protect against UV light and extend ice performance. The walls are made from four-layered polycarbonate walls (on the inside and outside). Outside wall finishing is polished to attract any eye that sets on it. According to the official statement from Sovaro, the walls are bulletproof and thick. This is really good because it makes your ice stay iced. A bottle of wine or champagne can be stored upright in their smallest model. More so, the interior design comes with a transparent liner to make it scratch resistant. The most unique feature is the one-touch latch which is initiated into action to close or open by the press of a dedicated button. Simply snap lid to its base, and it locks automatically. Side handles and a telescoping handle with wheels allow for smooth movements while draining through spout is relatively easy. With sovaro, you don’t have to buy cooler accessories separately as it comes with a prep tray and divider. Last but not the least, we realized the lid does not need you to hold when digging for drinks. In fact, it uses efficient hinges to keep the cooler top upright. 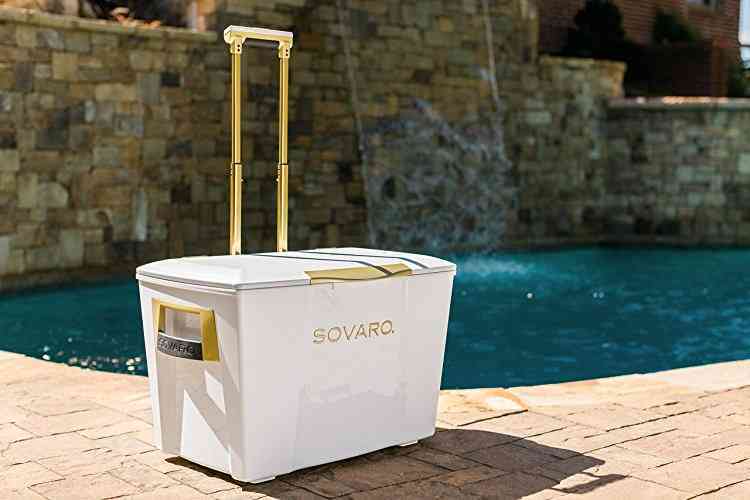 Overall, there’s no denying that the sovaro ice chest is magnificent; however, it can be a bit expensive on the side. Purchasing the product at a price means you are getting arguably the best luxury cooler on the market. Extremely Expensive – but for the features and amount of work put into constructing it, we feel its price is justified. 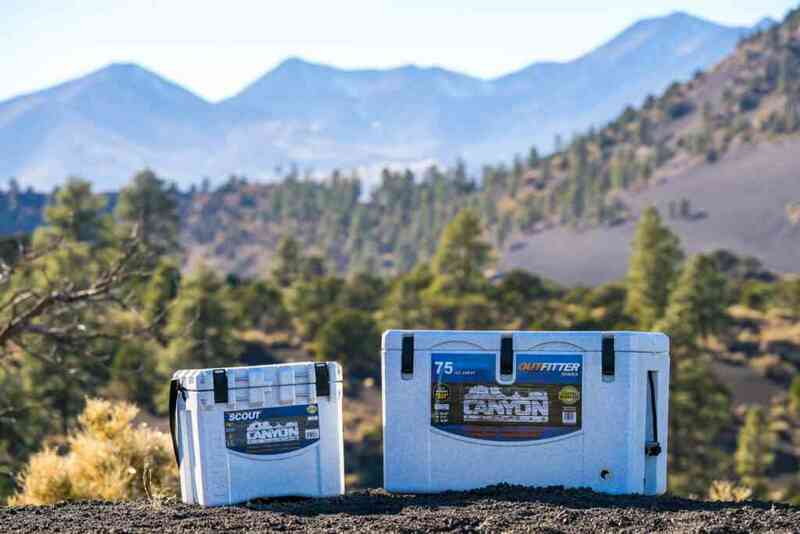 Canyon coolers are not talked about much compared to the likes of Yeti, Pelican, ORCA, RTIC, etc. Consumers often overlook Their wide range of ice chests. But there’s more than meets the eye with their coolers. In a world where every cooler look almost aesthetically the same, canyon sticks to its original design, different from most coolers which makes it more interesting. There are minor design changes in each canyon model which could be a selling point or a turnoff, depending on consumers. For example a 20-quart cooler wouldn’t look identical to the 40-quart model. The Canyon outfitter 45 uses a rotomolded process for the manufacturing of these sturdy and robust coolers, allowing for longer life. Thanks to the 2.7-inch walls. At as the time this article was written, it is perhaps the thickest cooler on the market. The outcome is nearly unmatched insulation and ice retention. In most ice retention tests, Canyon outfitter 45 gave a stellar performance of 6-8 days, which isn’t only exciting but surprising for an unpopular product to consumers. Recessed latches mean it can fit into tight spaces, while it seals properly. It features rope handles on the side which allow easy transport. It comes in many sizes ranging from 22, 35, 55, 75, 125 quarts. Recessed latches for effortless opening and closing. Yeti is undoubtedly more popular than any cooler brand. So much that companies constantly compare their cooler to Yeti’s. 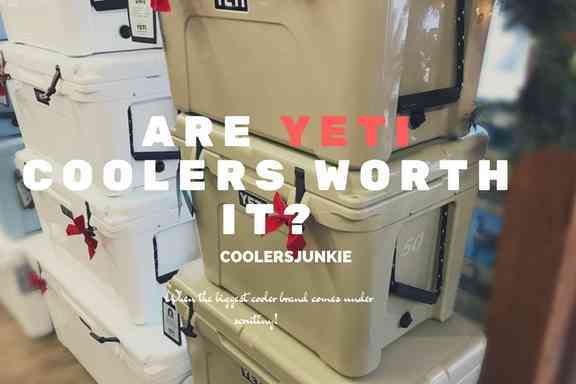 A sign which shows Yeti relevance and power among other coolers on the market. Despite a price tag people find outrageous for an ice chest, their sales shows no sign of stopping. At least not anytime soon. Premium to its core, featuring a rotomolded process of manufacturing and 2-inch-thick walls, you’ll enjoy both durability and thermal insulation. With that said, the average ice retention of their models ranges from 4-6 days! The Yeti tundra comes in many models from 35-350 quart. The smallest model, tundra 35 can hold up to 35 cans, and the biggest can store 350 cans. The Tundra 45 has tie-down slots, while non-skid feet are designed for comparative lesser drags and at the same time prevent marks on floors. Also, the leak-proof drain plug is for quick water drains. Tough lid enables users to sit and relax, while the rope handles allow for easy lifting and movement. In addition to that, in order to make sure there’s no one breaks into the cooler easily, it includes a space for a padlock which makes it grizzly resistant. You should also know that Yeti models are quite expensive, there are many alternatives. But if you have the money to spend on Yeti, the gripe may not be important. Needless to say, it is a great cooler. For those who don’t know pelican is a company known for creating different type of products from phone protective cases to portable lighting systems and coolers. 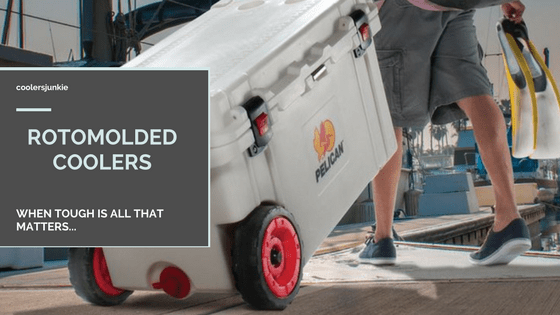 Pelican is dubbed the most rugged cooler, and that title is not in vain. The exterior footprint of this model gives it an outstanding physique. With 2-inch of polyurethane insulation, 360-degree freezer grade gasket, it could last for up to 5-7 days! An exciting feature is the wide press and pull latches which is not cumbersome even with gloves. Simply open the chest by pressing the button, yes, it’s that easy. Some Pelican Elite ProGear models like the 45 quarts and 80 quarts have customized wheels. 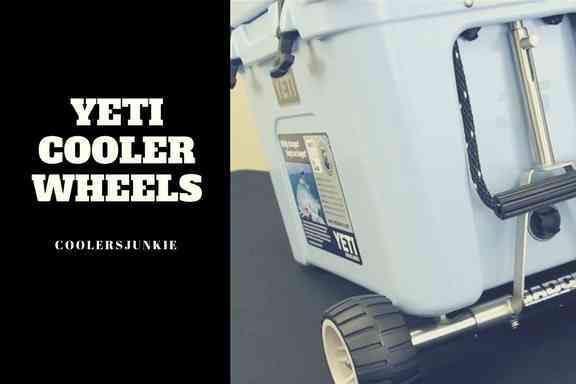 In case you are looking for a customized wheel to your cooler, we’ve written an article, do check it out. The really good thing about this chest is the measuring embossed on the lid. This makes it a perfect fishing cooler. Measuring your catch needs merely you to slap the catch on the lid and take the measurement you need. Other features include lockable hasp, non-skid rubber fit, bottle opener, anti-shear hinge system, and a molded tie-down slots. All these features make it among the complete chest you’d find on the market. For people that are into made in USA products, you’ll appreciate this ProGear model as it comes with a lifetime guarantee. Engel rotomolded coolers have on the best line of the longest ice retaining coolers. As a matter of fact, Engel was among the pioneers of the rotomolding process of cooler production. The model we are looking at today – the Engel 50 quart is perhaps the most popular model in the market. It is built with up to 2-inch-thick polyurethane walls making it almost indestructible, a good option for camping trips. Most users have reported a 5-7 days of ice. It comes in four colors; white, camo, haze gray, and tan. Besides, airtight silicone gasket and marine grade latches provide a perfect seal, blocking air exchanges and your contents stay cold. That said, it includes two lock holes on the edges to be grizzly resistant. The pitched bottom ensures that melted ice don’t mix with your food and drain plug make draining a breeze. A 10-year guarantee is attached. However, you should know it only covers some specific parts and manufacture defects. There is no other way to say that, but the Engel 50 is a cooler that is made to last for years, and the thick walls, latches, and gasket makes this cooler a product that can’t be overlooked. Well for those of you that don’t know orion. It is a Tennessee based company, and if there’s any company that produces a standard premium cooler, then Orion deserves a call. They have many models starting from as small as 20 quarts to 85 quarts. Today we’d be looking closely at their 65 quart model. Do not be mistaken; we’ve saved one of the best coolers for last. When it comes to ice retention, this model is well covered. Thanks to the rotomolded thick walls, what you get is 5-6 days of ice. Around the lid, a freezer-grade rubber gasket is used to latch the lid to its base. With few air exchanges, you are less likely to lose the cold inside. The lid is padded in a way you can sit and relax on it. Tired of your latches snagging stuff around you? Well, you don’t have to be worried anymore. With the low-profile cam latches, it comes close to the cooler surface, sliding the cooler into tight spaces won’t be a problem. Certified grizzly bear-resistant by the IGBC (Interagency Grizzly Bear Committee), lock points on the edges allow you to use padlocks against any intruder trying to get inside. Another great feature is the Yakattack tracks, a vessel integrated on the side to store all your accessories. In addition, there are matching stainless steel bottle openers on all sides of the chest. It includes rope handles for ease of transport. Interestingly, Orion comes with about 8 colors you can choose from. Orion proves it’s a cooler of style as it has a customization shop. Everything from your initials to your favored design can be imprinted on the cooler by experts. Overall, the Orion 65 is an all-round cooler which a mix of everything great. However, the price is costly. But if you are okay with it, you can go ahead and make the purchase knowing this is a premium cooler. So, there you have it. Our top premium coolers available in the market at the moment. Following in-depth research, we selected our coolers based on cooler ice test reviews, quality, and value for money. In case you feel that we left some premium ice chest that deserves a spot in our list, don’t hesitate to leave a comment below. Cheers! 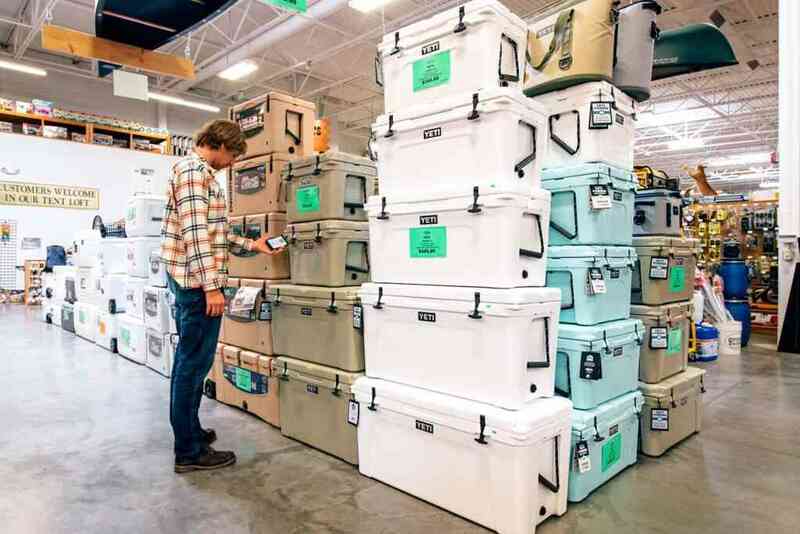 Previous ArticleWhy Are Yeti Coolers Expensive? 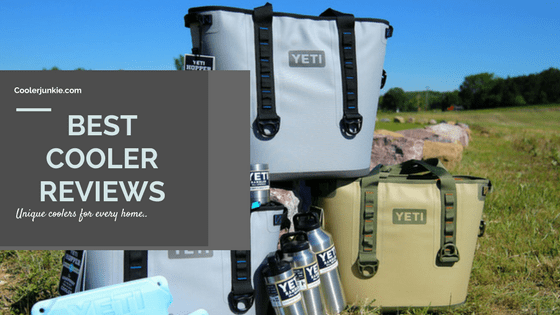 – Are Yeti Coolers Worth it?